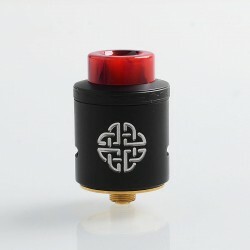 The Hellvape has released a new and unique atomizer - Hellvape Aequitas RDA. 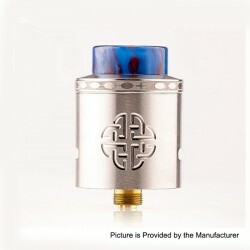 The Original Hellvape Aequitas RDA is a 24mm RDA with gold plated postless raised style deck. The post hole is 2.5mm by 2.5mm and can be compatible with any build. Aequitas comes with both top and bottom airflow, you can flip barrel upside down to make your choice. 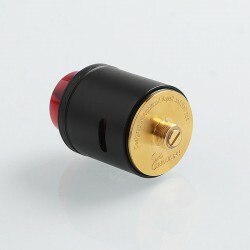 The RDA has an 810 resin drip tip and 810 Delrin drip tip, 510 drip tip adapter is also included. 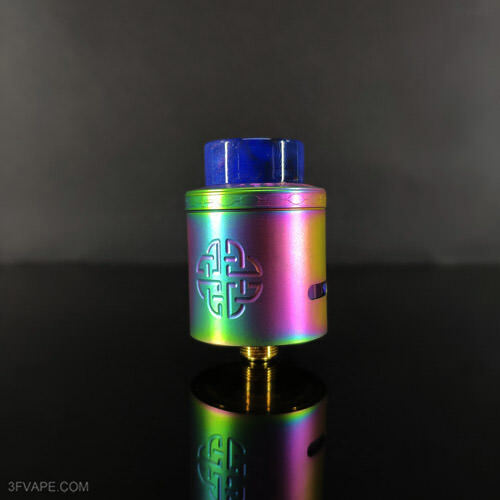 Don't worry,this time we present to you the Original Hellvape Aequitas RDA unboxing video. 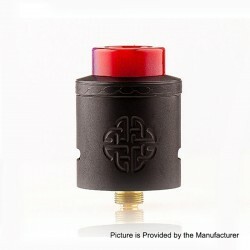 Today let's learn some information about the Original Hellvape Aequitas RDA - Black. 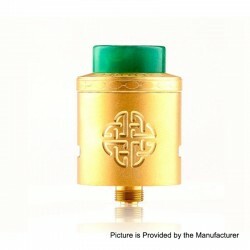 The Original Hellvape Aequitas RDA - Gold is in stock now. Today let's check the Real Scene Photo of the Hellvape Aequitas RDA - Rainbow.